With the NCAA Women’s Basketball season in full swing, we’re getting a great chance to see some future WNBA stars in action. 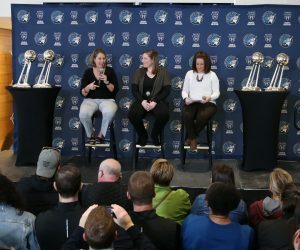 The Lynx have the sixth pick in the 2019 draft and also own three second-round picks and a third rounder, so Minnesota fans have a vested interest in this year’s college season. Though no draft pick is a sure thing and making a WNBA team even after being drafted is extremely hard, this year’s class contains several players who will undoubtedly end up playing key roles on some of the league’s best teams. While there are college games to watch pretty much constantly, what is special about this week and weekend’s slate of games is that some of the best prospects in the country will go head-to-head, starting with a matchup between two absolutely stacked squads in No. 1 Notre Dame and No. 2 University of Connecticut. Both teams have two players who are likely to be taken in the first round and the Fighting Irish will likely have four players from their team picked in the draft. In a draft with only 36 picks and a first round with only 12 selections, it’s safe to call both Notre Dame and UConn absolute powerhouses. Both schools play twice this week, including a Sunday matchup against one another. UConn is led by the dynamic combination of Katie Lou Samuelson and Napheesa Collier. Samuelson is a 6-3 guard averaging 19.4 points and 2.8 assists per game while shooting 47.2 percent from the field and 38.2 percent from three. Collier is an undersized but extremely talented forward who has been putting on a clinic this season, averaging 17.2 points and 9.8 rebounds per game while shooting an absolutely scorching 59.6 percent from the field. Collier has never shot under 50 percent on the season over the course of her entire college career and has an absolutely incredible feel for positioning. She’s also very quick for a post player. In the contest between UConn and Notre Dame, the Fighting Irish probably won’t have the best player on the floor (I would argue that will be Collier), but what they do have is an incredibly deep group of WNBA prospects. That group is led by Arike Ogunbowale and Brianna Turner—an inside-out punch that is probably only equaled by the combination of Samuelson and Collier. Ogunbowale is well-known for her late-game heroics in last year’s NCAA tournament, but she’s been having herself a year this season too. Ogunbowale is averaging 24.5 points per game and adding 5.5 rebounds and 3.7 assists. She’s also added 2.0 steals per contest. We’ve always known Ogunbowale can score, but the defense is a nice addition. Turner, on her part, averages 14.0 points and 8.3 rebounds per game and is blocking 1.7 shots per contest. They’re a deadly combination. While Ogunbowale and Turner are the most highly-touted WNBA prospects on the team, center Jessica Shepard is making a case for herself. Shepard is a hard prospect to place, and could go anywhere from late in the first round to early in the second. Her play this season is hard to ignore—she’s scoring 18.4 points per game and adding 11.2 rebounds. She’s shooting an insanely efficient 60.9 percent from the floor. While at 6’4’’ she’s a little undersized for the center position at the WNBA level, Shepard could likely learn to play power forward at the next level. Lynx fans know from watching Rebekkah Brunson how nice it is to have an elite rebounder on the floor, even one that doesn’t have a huge size advantage. Barring injury or a drastic change in their performances, Samuelson, Collier, Ogunbowale and Turner should be locked in as first-round picks, with Shepard possibly making the leap as well. 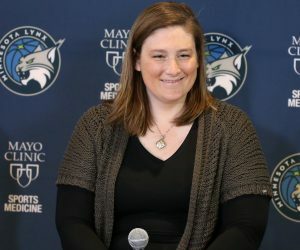 Depending on how other WNBA teams assess their needs and where they have players ranked, any of these players could be in a Lynx jersey next year. While Collier being available might be more of a stretch, it’s safe to assume that Samuelson or Ogunbowale could be there at No. 6, and Turner being taken in the top five would be a surprise. Long story short, Lynx fans should watch UConn and Notre Dame on Sunday—there’s a good chance you’ll be watching part of the Lynx’s future. Outside of the game between Notre Dame and UConn, Lynx fans should keep an eye on Notre Dame vs. Iowa on Thursday and Mississippi State vs. Texas on Sunday. Iowa is led my Megan Gustafson who has been on an absolute tear to start the season and has absolutely played herself into the first-round conversation. Last week in a win over Western Kentucky she dropped 29 points on perfect 13-13 shooting. She also once scored 35 points without taking a single dribble—that’s no joke. Mississippi State boasts probably the best big prospect in the draft in Teaira McCowan, a 6’7’’ center who is averaging a double-double and blocking an insane 4 shots per game. There are shades of Sylvia Fowles to McCowan’s game, and while she probably will not fall to No. 6, anything can happen in the draft and McCowan is always a fun one to watch. Don’t miss her. 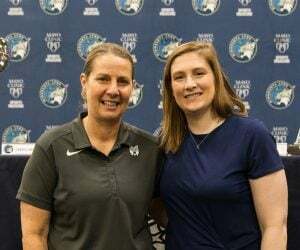 The WNBA draft is a long way off, so Lynx fans should be careful about jumping to conclusions, but when the draft rolls around in the spring, it’s way more fun if you know a bit about the prospects. 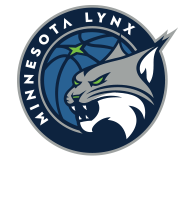 With the Lynx actually having a good pick this year, the drama is only heightened. 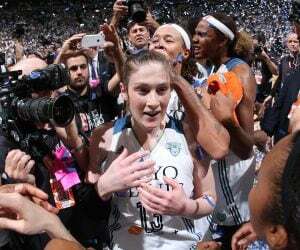 College ball is the best scouting tool out there—it’s time for WNBA fans to go to class.